I gave this RPG 5 stars, but let me qualify it for claritie's sake if you are a potential buyer. If you go into the book wanting to play what it is offering, you will be pleasantly surprised how well they were able to do what they wanted to with this system, etc. They offer excellent support for it, and it has all things I would need to play it (the setting/game as designed) for certain, and I could very likely "make it work" for any number of other, similar settings (field hospital in WWII? sure. American Civil War? With some research. In modern day Iraq? Yeah likely but again -- research). If you go in expecting it to be what it says it is, you will find it is the best version of that self. 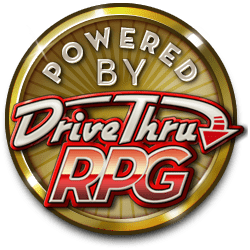 If you're from either a limited background of "what an RPG is" or you want to do something with this that it wasn't made for, I don't recommend it. It's a 3 Star as an add-on to your more hacky-slashy, or "war game" becuase that's not the point of this. And I don't think it should be. This is an excellent game, made an excellent way, with excellent research, and excellent ethos-pathos-logos for how the lore and the mechanics all blend into an excellent "experience". I have mixed feelings on Corporia. On one hand, the system is excellent, fluid and easy-to-learn. The way that pretty much any action you want to take is boiled down to a singly type of roll makes this system tremendously user-friendly and barely intrudes upon story-driven play at all. Furthermore, the mundane side of the setting is interesting and evocative, rife with opportunities for play. Unfortunately, the same cannot be said of the arcane and mystical side of things. Partly as a side-effect of the simple system and partly as a result of the down-to-earth presentation of the book - in particular the decision to use photographs as opposed to artworks and the way in which the book is presented almost like a company handbook - the setting is utterly lacking (from my perspective at least) in the mystery and intrigue of magic. Where are the Faustian bargains and otherworldy spirits? Where are the mighty magicians and potent relics of ancient times? Where are the dragons, the griffins and the Questing Beasts of Arthurian myth? Where is the wonder and horror of the return of magic to a mundane world ruled by monolithic mega-corporations? I think that a great deal of this is lost by relegating magic to a few scant pages with each spell having only a list of statistics and a one or two line description of its effects, as well as giving such a bare-bones Bestiary and explaining the creatures (cryptids) therein with scientific terminology (It's a vampire, no matter how much you want to call it a 'sanguinuvore'). Even Excalibur, the Sword of Promised Victory, only has eight lines describing it and its scabbard, and most of that is composed of numbers and bonuses. All in all, I think that Corporia could have been great, had its setting and presentation been more balanced between the systematic approach which was taken to the Corporations and the game system and the mystery which perhaps should have pervaded the more mystical parts of the book. I will play it and I will reccommend it to others, but for myself I will likely heavily alter the magical aspects of the setting to be more to my liking. P.S. Something which was done excellently was making the writing clear and straightforward. Perhaps too much so, in places, but I have already made my opinion on thos eparts clear. Great product and fits very nicely with the look and feel of the rest of the Corporia products. I love the fact that it's fillable and something you can hand to players and have them work through like a set of office paperwork. I dropped one star because after filling it in the PDF (at least in my reader) doesn't populate the actual character sheet at the back, so there is a level of transcription required. A minor quibble though. On the whole it's a fantastic product and nicely bridges game reality and player reality. The book and PDF are meant to be incredibly user friendly, with all the links and such, the form fillable character sheet and even a character creation summary after the full index. The Knightwatch is guide by the AI known as M.E.R.L.I.N. That's not just a cute nod at the legend, it is outright mentioned that if the legend of Merlin living backwards through time is true, that this may be his birth. The book uses little art, instead opting to use photographs (often with a lot of make-up and/or photoshop), which is very jarring for an RPG, and took some getting used to. Ultimately, it's not bad, and gives the book an incredibly distinct appearance, especially combined with the "corporate handbook" feel. The Bibliography is terribly important here, I think. This isn't King Arthur in the Future. The recommended reading and viewing includes Dracula, Cthulhu, Demolition Man, Buffy the Vampire Slayer, Robocop, The X-Files, Deadlands, Office Space and MUCH more. Interesting set of recommendations. Several in-universe magazines and pamphlets are provided through the book, providing valuable information as well as a look at the world. Random charts for populating the city, as well as creating corporate encounters on the fly. They felt oddly incomplete, though, but that may just be my love for random tables talking. Corporia stands out on its own, as I'm not sure there are many corporate supernatural Arthurian cyberpunk games out there, especially with all that photo art. The corporate angle is particularly unique, and I like how everything largely works, though I'm not sold on the adventures...just feels like they could have been built up as something a bit more epic than they are (though I approve of Mass Combat rules...pretty much always, as long as they are narrative). Corporate monsters hunters are not new, but Corporia puts just enough twists on the genre that it stands out from the pack as something worth investigating. The Corporia RPG has a very interesting premise: the Knights of the Round Table are reincarnated in the near-future. The setting: an apparent utopia known simply as The City (which can be set anywhere), run by mega-corporations. One of these is Valyant, where the CEO is the reincarnation of Sir Lancelot du Lac. An energy known as the Flux permeates the City and it is this Flux that empowers magic and awakens the various magical denizens (sometime called Cryptids). Valyant and other private security firms protect the city from the dangers of the Flux's energy, an occult police force known as the Knightwatch. Much of the Corporia rulebook relates to The City itself, laid out like corporate training/welcome manual, in-flight magazine, or even city guide. It's left deliberately vague so that you can place the City wherever you want, although there is a certain bent toward a corporate America. The character sheet (of which form fillable PDFs exist) is written like an Human Resources form. Throughout The City section are ads or magazine covers that really add to the flavour I think: "Mutants are welcome in Club Nightmare!" I'm divided on the artwork to a certain extent. There are very few paintings or similar. The majority are photographs of people in dramatic poses - such as men in suits fighting with a swords, folk wielding guns and other weaponry etc. Valyant definitely put me in mind a lot of Wolfram & Hart in the TV show, Angel (except on the other side of the fence!). Some of the photos don't work as they don't really relate to the subject at hand but the character Archetype portraits look great. It wouldn't have hurt to break up the text in Corporia with some black and white art. The system is nice and basic: roll 2d6, take the highest, add the Core Value (e.g. Strength) and Skill value. If the total is higher than the Target Number (TN) it's a success. That's it. A simple system. It does make combat particularly deadly though if you're not wearing armour (be it plate mail or suit weave!). Armour is also pretty complicated, having three stats - one for Melee, one for Hi-Velocity (bullets), and another for Energy (X-caliburs!) - it does seem a bit overly difficult. I do love the fact that the melee skill is called "Getting Medieval". PCs can utilise the Flux too by spending Flux Points. These can be used to improve rolls or activate a power of some sort (in the case of Sorcerors and other magicians, for example). There are 13 Character Archetypes (and more available for download) in Corporia. A good mix of various types you can use to create PCs (and there are sample characters to use, like we did). As I said before, the concept art works well here, along with a quote by each Archetype. As a fan of D6 Star Wars, I have no problem with this. If you want a quick game, use one of these. There's quite a bit of flavour to these characters, and there's are the usual Assets and Backgrounds (wealth etc.) that won't be unfamiliar to anyone who's played Shadowrun or World of Darkness. There's a few starting adventures although I'd have like to have seen a single introductory adventure with a bit more substance. There's a small beastiary. The monsters, or Cryptids, are pretty much the ones we've come to expect (vampires, werewolves, succubi, etc). The adventures are a bit of let-down though. "The Lady in the Lake" adventure makes no sense - it just confused me. HOW are the PCs expected to find the killer? There is a meta-plot (like World of Darkness) based in Arthurian legend but I'll not touch on it here, as it's more fun for players to figure it out on their own! I do like Corporia's GRAIL adventure concept: Goal, Recon, Assault, Infiltration, Liquidation. That's a nice idea. It breaks things down into easily-managed concepts. Also really fits in with the whole Athurian legend concept. Now, in regards to the presentation of Corporia itself. I have a few criticisms. I have the digital edition (which I got free for review - just to make that clear! ), which is technically great. Its bookmarked, cross-linked and even gives you helpful hints for its use. I would definitely want it in book format though. There's no POD option and I'm fairly certain my local games shop wouldn't get it in. The layout could be better, spacing out the paragraphs a bit more, perhaps using two columns. It feels like a Word document converted to PDF. Two different body text fonts and lots of stuff in small case that don't really add to anything. Also the GM is called the Director. It's a minor thing, I know, but please can we just call a GM "GM" in RPGs? There's a section entitled Game Mastery already... The players will call them GM anyway. The game of Corporia we played was a short one, using the sample characters. One player had never played an RPG before, but found it quite easy to pick up once he’d read the character sheet. As GM, it was pretty straightforward to run (we played the QUESTbusters scenario) although I spent a lot of time winging it. The armour in combat was a bit tricky to figure out, perhaps a simpler system could have been used other than “7 /10/4″ notation. I think you could call this game genre Knightpunk. In summary, Corporia is a solid little game that could definitely use a little reformatting. It also needs a creative GM who’s happy to fill in the blanks. The price tag is pretty good value for what you’re getting. It’s far less rules heavy than Shadowrun, and less dark and meta-plot than World of Darkness. It’s the kind of game I wouldn’t run regularly but definitely would for a few sessions. It’s easy to pick up, has a solid core game mechanic, and the Arthurian premise of “Knights in shining Armani” is great. Note that there are also quick-start rules for Corporia if you want a taster. Basics- Time for an Arthurian Knight in Media Corp! In Corporia, players take rolls in the Knightwatch, humans touched by the flux, who now take up arms against the reincarnated forces that once King Arthur and the Knights of the Round Table fought. With a reincarnated Lancelot and M.E.R.L.I.N., the supercomputer, at your side, can you put down the forces of Chaos? Mechanics or Crunch- Like any full RPG, let's break this one down into its base parts. Base Mechanic-The Flux System- I can write the entire rules of the flux system down in a tweet- Roll 2d6 (called flux dice), take high die roll, add ability (called core values) and skill, consult GM. Done. That's the entire base rules-for EVERYTHING YOU DO. Pretty impressive! It runs quick, but still has more than one die to allow for flexibility in the system. Want to convince a person you're not a knight in plate armor hunting demons, but just a cosplayer riding the subway? 2d6(take high)+wits+influence, add role-play, and then consult GM. Boom! Done. All your numbers range from 1 to 6, so it's not math clogged or new play unfriendly. Combat- Want to hurt somebody or something? 2d6(take high)+ability+skill. Here is where some of the Tongue and Cheek come into play. Want to hit somebody with a sword? The skill is Getting Medieval and the ability/core value is strength. Shoot somebody? It's deftness and firearms. However, this one doesn't just roll against a static number; you instead have to dodge an attack which depends on the method of the dodge and the attack. Parry a sword is 2d6(take high)+deftness+getting medieval. Dodge a bullet is deftness+getting medieval. Unlike in other RPGs, defenders win ties. If the attacker gets a higher number, he or she rolls the damage dice for the attack (this system does use more than just 2d6), adds the core value for the attack such as strength for hitting with a sword, and subtracts the defender's armor. If the damage is greater than the defender's mettle (think a combined wisdom and constitution from Dungeons and Dragons/Pathfinder), the target takes a wound. But, this game also has hit locations. To find the location, you look at the total on both the flux dice of the attack and consult a chart. Just like in a real fight, most attacks hit center mass as 2d6 average to a seven which is the torso. And just like in most fights, the wounds you take cause you to lessen your abilities to fight! Take enough total wounds to be double your mettle? Make a Strength+Mettle test to not pass out. You can keep fighting until you pass out. Quick, lean, and simple. Magic-Where would urban fantasy be without magic? Magic in this system is a bit like Dungeons and Dragons. There are two major different schools to magic-witchcraft and sorcery. Witchcraft is a divine magic from D&D, and Sorcery is a bit like arcane magic. Want to know how to do magic? 2d6(take high)+magic+spell type. Done. Just like combat, it's easy, slick, and user friendly. Each day a spell caster can cast a number of spells equal to his/her magic core value. If you cast more than that you start to take increasing penalties to the roll. Spells can also be modified to add more targets or increase range by adding penalties to the roll. It's not the cast till you pass out system I love. But, it does have push your luck, and if I can't have my players pass out, I'd like them to push their luck. Computers-It wouldn't be modern fantasy if it didn't have hackers. This game has them, but hackers basically work just like magic. Roll dice as above, add numbers, and compare to a target difficulty for a device. Quick, clean, and user friendly. Flux Points- I love player driven narrative control. I want my players to have some chips to cash in to make things happen, and in this system that's flux points. Players can spend flux points to shrug off wounds to keep fighting or to add to a roll before the roll happens. That's always fun. Also, flux points are used as experience points to buy new improvements. That adds a level of cautions to how many points a player wants to spend on a roll. Flux points are earned by playing to your traits and having the game master temp players into doing crazy things. Unlike some other RPGs, players never have to spend experience points to avoid an action the game master wants, but I can crank up the flux point offer to almost ludicrous points to entice a player to do what I want. And that's always fun to do! Character Generation- PC generation is a snap. Near the back is a one page sheet that will easily give you the layout of character generation. You choose an archetype, but that just helps you, not hurts you as some abilities are cheaper depending on the archetype and the system is basically classless. Then, you define traits to help you build the persons personality and use a simple point buy to build your attributes, skills, and feats (called assets). Then you get flux points to get a bit of narrative control/point buy attributes and spend money on gear. As a final step, the future has a combined facebook/Foursquare system that allows you to log on to places to be more popular and have more social pull in a location, but you might also be tracked, so you decide how much of that you wish to use as a character. Done. I always love systems where half an hour is the longest character build time you need. Plenty of tech, plenty of rock and roll. Now throw in a little magic and you are ready for the return of King Arthur. Looking forward to getting a copy of the whole game. A nice little cyberpunk-ish game with a couple of disadvantages. I think this one's less a matter of good or bad and more a matter of taste so I'll quickly toss in a few comments on things you should probably be aware of, other reviews already have more detail in a much better format. Most of the rules and mechanics here are a little on the light side, not in a bad way and not without some crunch to them but keep that in mid when deciding if this game is for you or not. It might be a little heavy for a first RPG but it could still work if the group is particularly interested in the subject matter. The setting is nicely handled, it's not ultra specific but it gives you a good bare bones which you can build on quite well. The same could be said for the campaign framework they include. I can't say there's much to them but what there is is good and can be modified to suit your own group easily. The book's style is... debatable. It's based pretty much entirely around photo's with some minimalistic props and manipulation. On one hand this didn't appeal to me too much, on the other it fits in well with the theme of the game and could very much add to player immersion in some places. The book does have a few flaws, it gets a little too minimalistic at times (for my taste), some of the pictures really don't work, sometimes they seem to forget if they're narrating 'in character' or not, and they forget to even do a rough guideline on character advancement. The most I found was in the character creation section, noting the a double cost after character creation. They forget to give even suggestions on things like training time or experience point rates. I think that sums up the attitude of the book right there, if you have any experience with RPGs before this you shouldn't have too much trouble coming up with something based on what they've already given you (and adapting it easily to what YOU intend) but they probably should have included something more. Still, it gives good references and links to what it has and it has some nice stuff in here. Especially for a $10 price point. I don't think it's a must have but I'm still ready to give it an above average mark and if you like the premise I'd say it's well worth checking out. i feel that this is good enough to start a game group based on it! Just a simple version of the dossier, but very easy to read and use. Not to mention the possibility of filling out your sheet brings the character to life. This is a great supplement for the Corporia game and even adds a little more to the mystique of the setting. Over all, Great Job! Its pretty interesting to see the sheets done up like tax documentations. Aldo the fact that they can be filled out by a player makes things more interesting. The basic premise for the game is that in a dystopian future the knights of the round table are coming back, being reborn in the bodies of modern people. Unfortunately, their return has also unleashed the Flux, chaotic energy that allows not only the reawakening of magick but also the warping of otherwise normal people into dangerous monsters. The players can be members of one of the knightly orders from Arthurian times or just normal people touches by the flux and given abilities beyond the norm. With a few minor exceptions the book itself looks great. Rather than having drawn artwork almost every illustration in the book is posed with real people, typically in action poses and using prop weapons, armor and makeup. There are a few examples where this does not come across well, notably in a couple of places where the prop guns are obviously toys painted black. Overall though I really think that the art is a strong point of the overall production. The PDF also make strong use of hyper linking, both in the table of contents and throughout the rule section. Every link I tried worked perfectly, and there was also a form fillable character sheet at the end of the PDF, which I think more publishers should look into doing. Sadly, while the character sheet worked on the tablet I was using to read it, it did not while using adobe acrobat to read it on the computer. The index was also not hyper linked, but that might have been a design consideration, as multiple entries had both a GM and a player section referenced. The problems with the character sheet are being worked on by the publisher and will hopefully soon be fixed, as I think this is a great feature. The world is a future extension of our own, where corporations have grown so powerful that they literally replaced the government in every meaningful way, imposing censorship and even going so far as allowing people to be sentenced to become wage-slaves for white color offenses, essentially working for the corps without any real choice in where they are assigned or any ability to quit. Corporations have also taken over law enforcement, and most games are going to center around the Knightwatch, the elite, super powered branch of the Watchmen, one of the PMSC (Private Military and Security Companies). The parent company is Valyant, who's CEO is the reborn Lancelot, aided by an AI called M.E.R.L.I.N. and Nemue, Merlins one time apprentice, also reborn. The Knightwatch answers directly to Lance Martin (Lancelot), and are tasked with stopping or destroying the supernatural threats that plague the city. The flavor of the game is readily apparent throughout, with attributes being called Core Values, armor being called Personal Protective Equipment (PPE) and the character sheet looking a heck of a lot like forms I've filled out at work in the past. The system is pretty simple, you have a Core Value added to a Skill and roll 2d6, keeping the higher die and adding it to your base to beat a difficulty number. Combat works almost the same, although instead of a static difficulty it is an opposed roll, with the winner either hitting or dodging/blocking. Damage is rolled based on the weapon and in the case of melee attacks the characters Strength score. Melee is still a viable option because many of the beings created by the Flux are more affected by iron weapons. Once damage has been rolled you subtract the targets armor and check if it is over their Mettle, if so they take a location specific wound, which gives them a penalty to actions using that location. Penalties are cumulative, but don't take affect until after combat due to adrenaline/flux infusion. Once you take wounds equal to twice your mettle you start having to make stabilization checks to keep fighting, and any additional wound put you into shock and out of the fight. Characters are made based around archetypes such as the badge (cop), hacker, lister (celebrity), Knight Errent (reborn Arthurian knight), runner (parkour using package delivery), sorcerer, suit and thinker (scientist). Each archetype gives you a discount on a particular asset, which are the things that give you an edge and make you more than human, or just give you more clout or money. There are two magic using archetypes, although there is nothing to keep you from using magic in most other archetypes, and eight schools of magic. If you have the assets to use spells of a particular school you can use any of the sample spells provided or make up your own with GM approval. You can only cast a limited number of spells per day based on your Magic core value, and casting more becomes harder and harder until you fail and have to recover for two rounds before trying to cast again. Modifying the existing spells is also as easy as adding 2 to the difficulty every time you increase the spells range, duration or number of targets. Magic using characters can also use wands to fire mystic projectiles that ignore armor and do damage equal to the characters Magick value. Gear and equipment are pretty well covered, if slightly generic as far as weapons are concerned, and they get by with generic pistol, rifle and shotgun type entries rather than exhaustive lists of specific weapons. Weapon laws in the setting are such that even the Knightwatch are only allowed a pistol and one other weapon of choice, which will usually be a melee weapon of some sort. Since they are supposed to be some kind of cops this isn't a bad thing. There is also a listing of Augments, from the simple eyePhone contact lenses that pretty much everybody has to the cybernetic enhancements like muscle augments and dermal armor. Most permanent augments lower your ability to use magic, so it's more for the warrior types. Overall I think this is solid game with a great setting, simple enough to introduce new players to but also complex enough to keep players coming back. There are several scenarios included that can be used to give the game an overall story arc and are designed to be interspersed with your own missions. The GM section is useful and adds elements to the game that are not apparent from the player section, the characters are varied enough to keep things interesting and also evocative of the setting. Highly recommended for the unique setting and a solid game system.